Connecting the Skyline Drive in Shenandoah National Park, Va. with the Great Smoky Mountains National Park in North Carolina and Tennessee, this scenic mountain-top highway unfolds new and spectacular views of valleys and distant mountain peaks for almost 500 miles through the Blue Ridge Mountains. 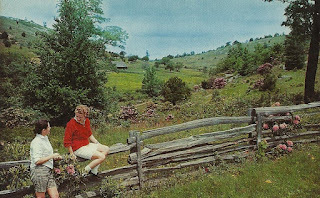 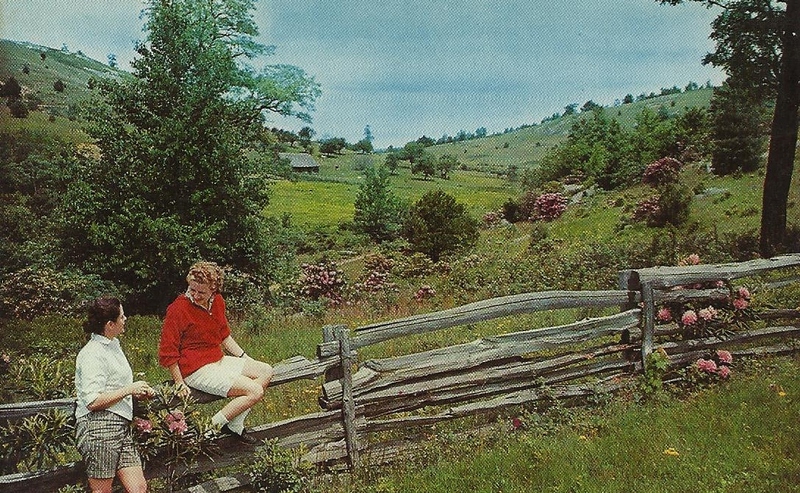 This view showing a rustic rail fence was taken near Doughton Park in N.C. 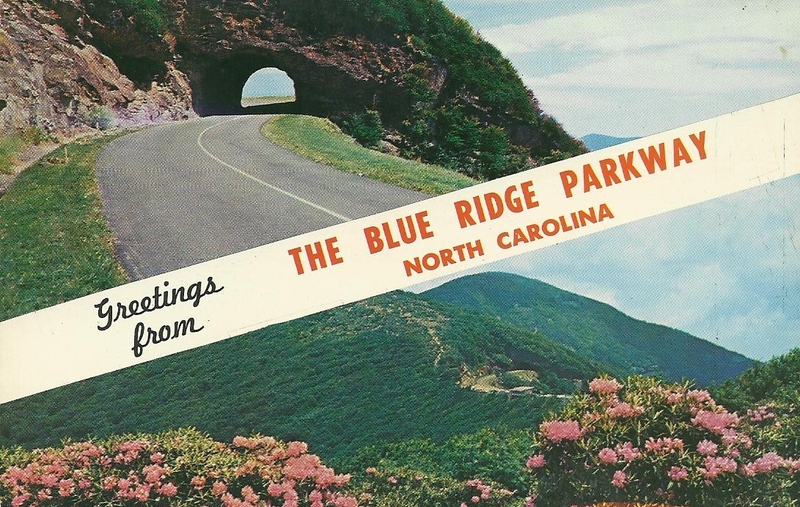 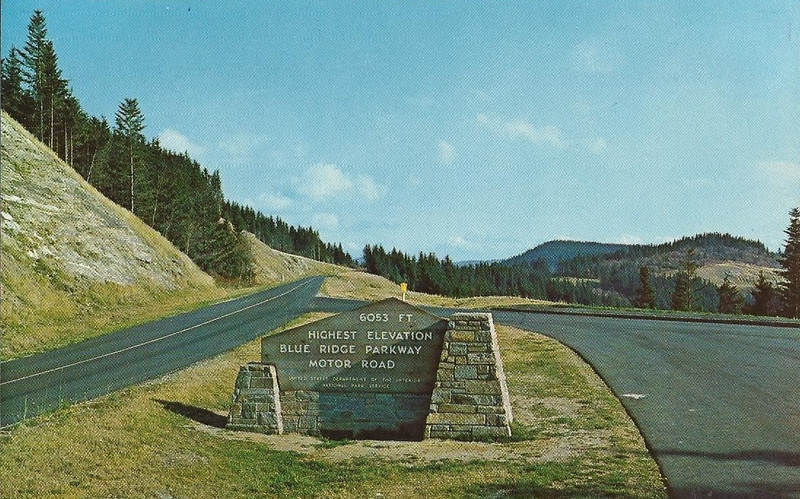 Highest Point on the Blue Ridge Parkway - Elevation 6053 feet. Located on the crest of the Balsam Mountain Range south of Asheville, North Carolina this is the highest point reached by the Parkway along its entire length.